I’m not seeing as many mangroves as I’d like, but I’m covering a lot of Cuban ground, and loving it. 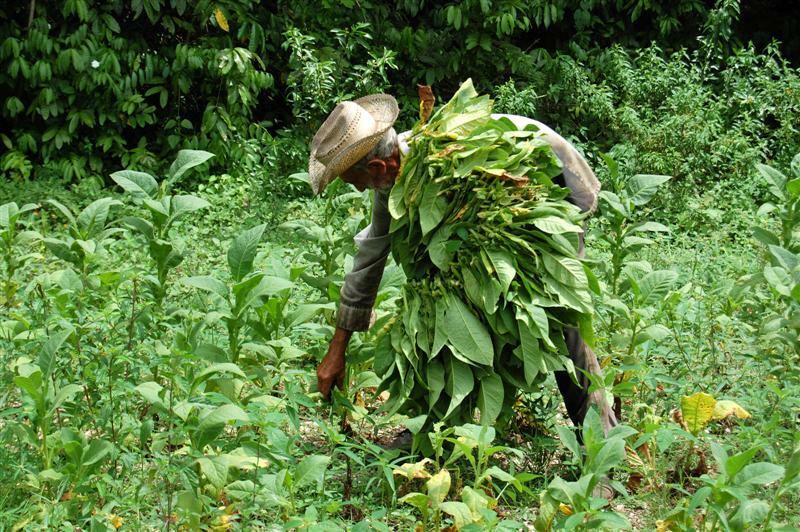 I'm seeing more tobacco leaves than mangrove leaves, but c'est la vie. 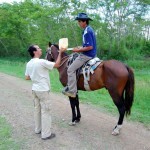 Juan Carlos buys cheese from a roadside vendor. Cuba may be a bastion of socialism, but it is full of closet capitalists. 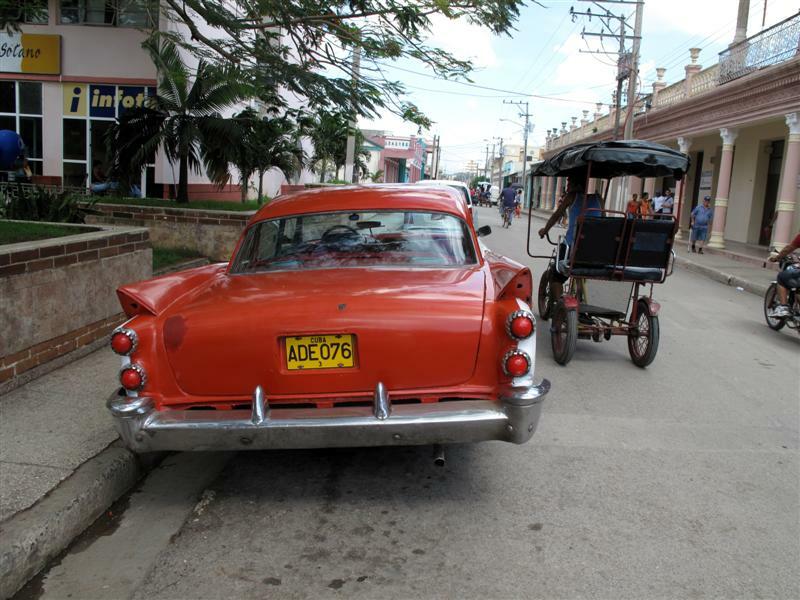 Everyone is looking for a way to make a peso—or a “CUC,” the currency Castro introduced in 1994. 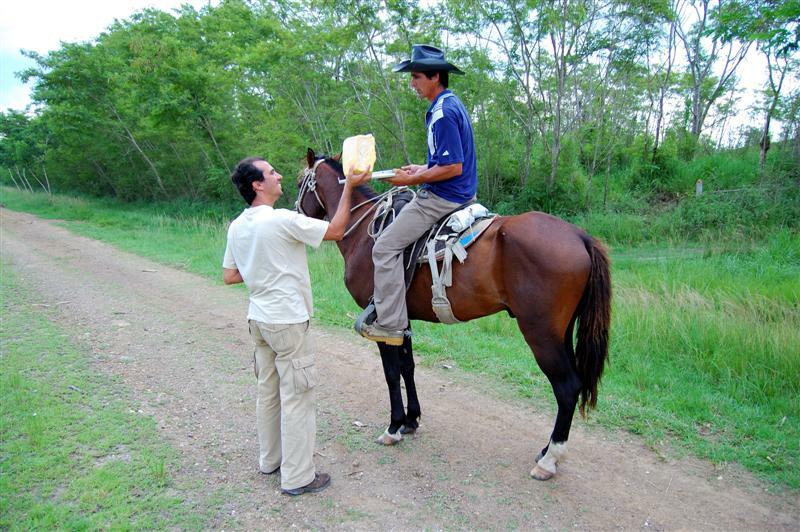 Beside the autopista, men on horseback or on foot sell blocks of homemade cheese and guava paste, ready to fade into the forest if the police should drive by. 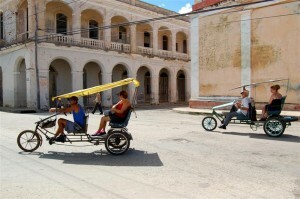 There is very little street food in Cuba cities for the same reason—you need a licence to sell anything. It’s not just the fact of paying for the privilege that inhibits would-be entrepreneurs. It’s the act of making yourself visible to the authorities in the process. Visibility = risk, and the government uses this queasy undercurrent of uncertainty to foster compliance. 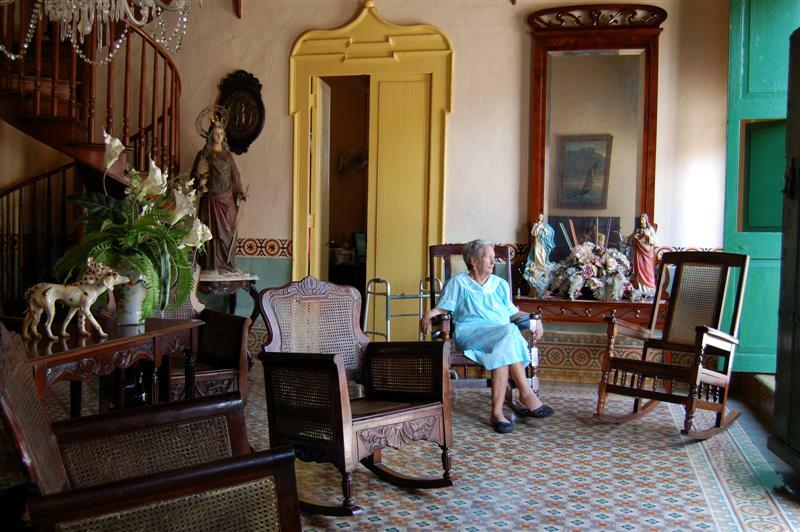 I had a small insight into herd timidity when the power went off in the casa where I was staying in Ciego de Avela, about 400 km east of Havana. No problem, I thought. I would go to a café in the town, buy a glass of cold mango juice, find a power point and type my blog post in style. Ah. Not so fast. I tried a couple of places, using sign language to point at my laptop and a power point. I managed to pick up some words that sounded like “consume” and “electricity” and much shaking of the head. It was not possible. Consumption of electricity was apparently verboten. 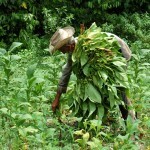 I found Juan Carlos, who was still making phone calls, and he explained the mindset. 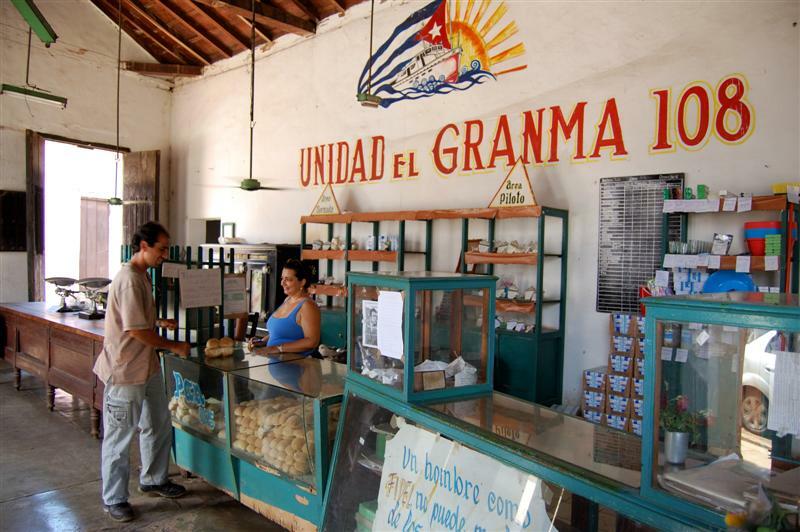 A gringo asking for electricity is an unusual request. Unusual requests are inherently risky. Suppose the police or military should show up. Questions would be asked. In a regime like this it is best not to invite questions. 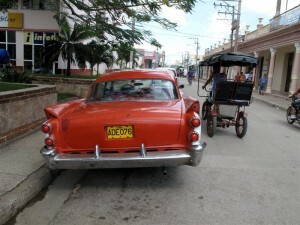 Here are some more glimpses of Cuba . 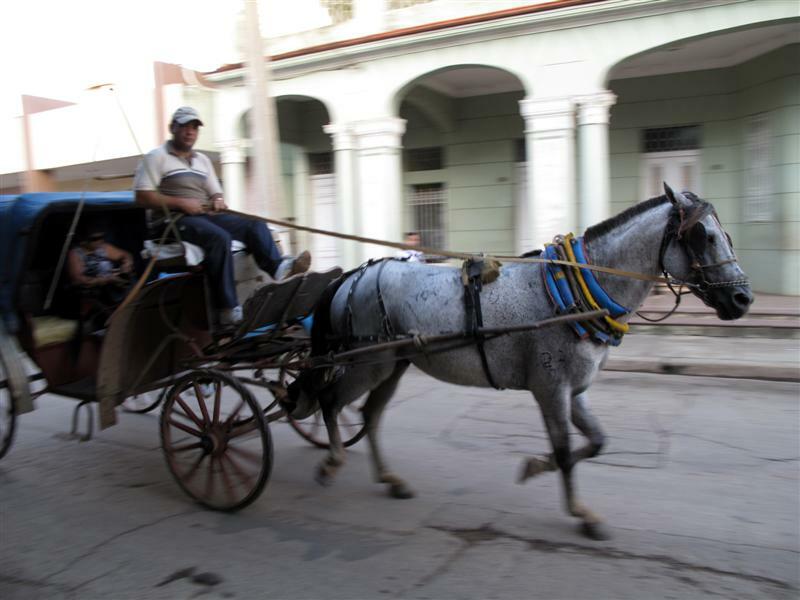 . .
Chevvies, Oldsmobiles and Studebakers share the road with horse buggies and bullock carts. 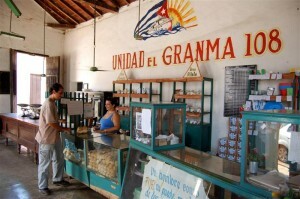 Bodega in Remedios is named after the boat (Granma) Castro and his fellow revolutionaries used to sail to Cuba from Mexico in 1956. 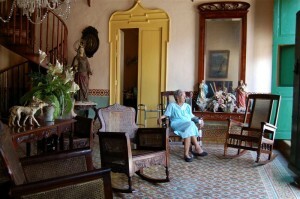 A gracious interior in Remedios. 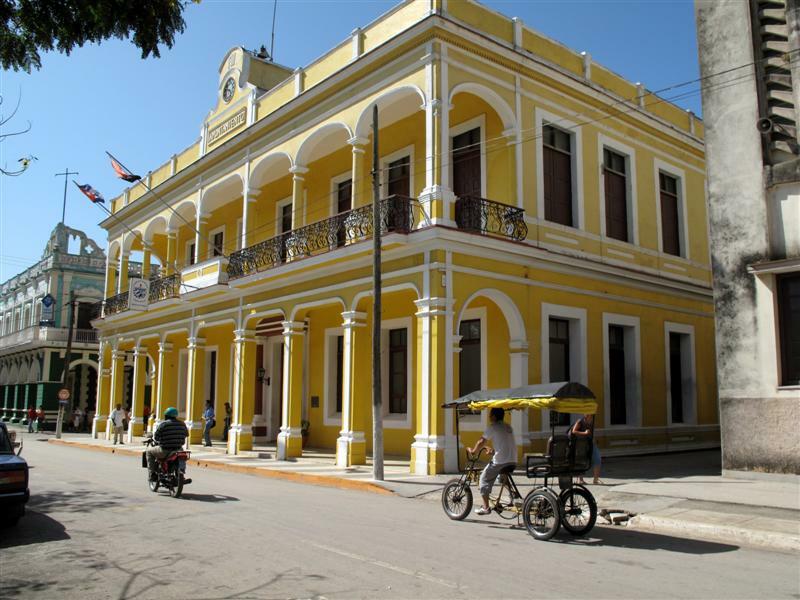 Spanish colonial architecture is everywhere evident in Cuba. 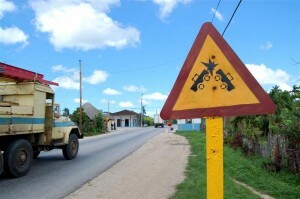 My favourite Cuban road sign. Fortunately, I escaped the fate depicted. 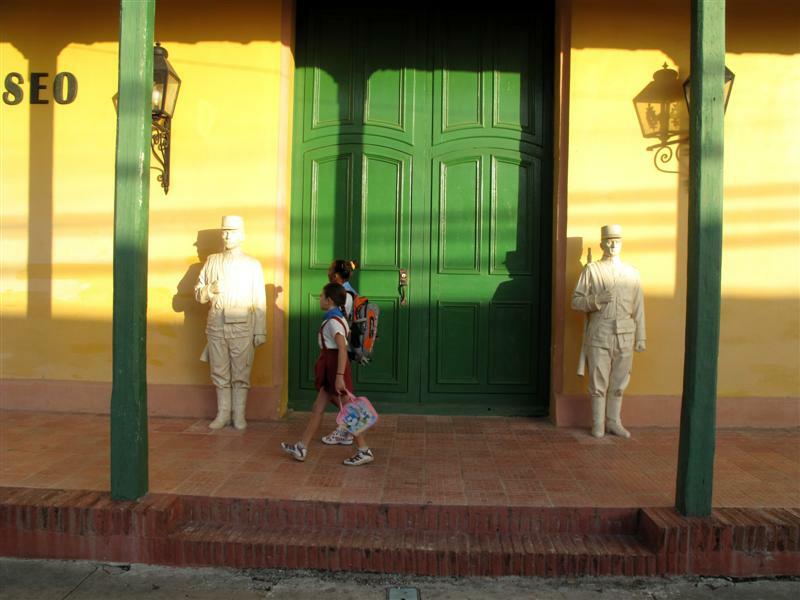 Schoolchildren passing a museum in Ciego de Avela. The sound of horses' hooves on the streets is one of the pleasures of early morning in Cuba. This entry was posted on Friday, June 12th, 2009 at 12:56 pm and is filed under Background, Trip update. You can follow any responses to this entry through the RSS 2.0 feed. Both comments and pings are currently closed.